I read this article and found it very interesting, thought it might be something for you. The article is called Ep 106: Clayton Makepeace – Selling on Emotion ($1.5 Billion Worth!) and is located at https://copychief.com/ep-106-clayton-makepeace/. 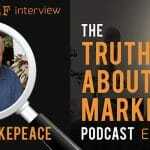 Clayton Makepeace is the mind behind ads that sold a Billion and a half dollars worth of products in the health and financial markets. There aren’t many copywriters alive who can bring a whopping four decades of in-the-trenches experience to the table. So naturally, Makepeace is also one of the most sought after copywriting teachers. … many Copywriters fail to do that by failing to ask themselves two critical questions about the market BEFORE writing. 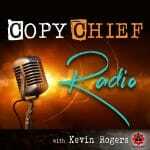 Listen to find out where Clayton got his confidence as a kid, and the path that led him to become a direct response copywriting legend. What’s the one thing Clayton’s done that’s produced the most surprising result? … And he did it in a way that almost gave his client’s CFO a heart-attack! Check out how he sold-out all 2000 sets in two days and the reason he’s regarded a legend in the business at 37:40. Been hanging out for this one for a long while. Thanks guys, fantastic interview. So Valuable. I can only thank you Kevin for sharing this. are brought out in the open with little room for escape- keep drillin! Excellent Jon. Drill we shall. Kevin, fantastic interview with Clayton. I’ve heard Clayton interviewed many times, and I’ve even interviewed him myself. But, you have this amazing ability to ask the right questions… the most interesting questions… questions no body else would ask. And you get the best most captivating answers. Thank you! Wow, thanks Marcella. Such a privilege. I love hearing those little insights into how Clayton approaches a promotion. I’m always blown away when he starts digging into the mindset and emotions of his audience. Great interview Kevin. Glad you enjoyed it, Hans. Awesome Episode, Clayton is a living Copywriting God, I mean £1.5 Billion worth of goods sold? Does anyone have more information on this Richard Biggery guy he is referring too? The one who he said pretty much invented political fundraising. I’ve done a search on him but I dont think I’m spelling his name right. He must be another genius if Clayton said he learned from him. Keep up the incredible work Kevin and Copy Chief! Your podcasts are dripping with awesomeness. Great and inspiring interview which shows me that I´m on the right track. Even though I write for the German speaking market, the key points are quite much the same.